Besthorpe parish lies, like a buffer, between the two large parishes of Wymondham and Attleborough. The villages, formerly lying on the main A11 Norwich to London trunk road, has thankfully been bypassed and despite the nearby dual-carriageway and its noise is relatively tranquil. 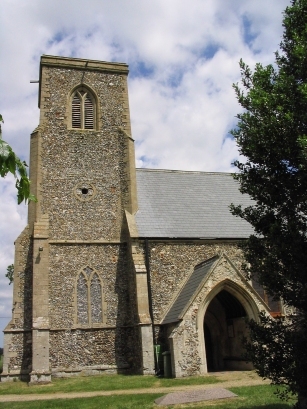 All Saints parish church lies away from the current centre of the village, perhaps a relic of the Great Plague. 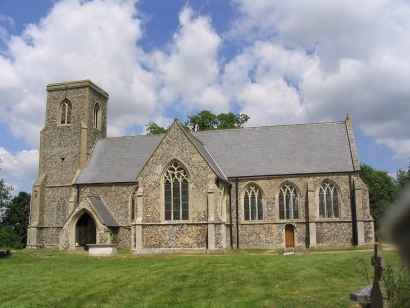 The building is from the early 14th century and is unusual in a village church in having both north and south transepts in addition to the normal nave and chancel. These records were transcribed from microfiche 6, 7 & 8 in the Norfolk Record Office collection. They are clear and easy to read, although the hand of the incumbant has caused a few scratch head moments. Hopefully not too many errors will have been made in this transcript.